File The Fort Wayne Farm Show gets back in gear Tuesday at Memorial Coliseum. Associated Press Grab a pair of binoculars and join others for the Birdwatching on Our Urban Rivers on Sunday at the Lawton Park Trailhead at Clinton and Fourth streets. 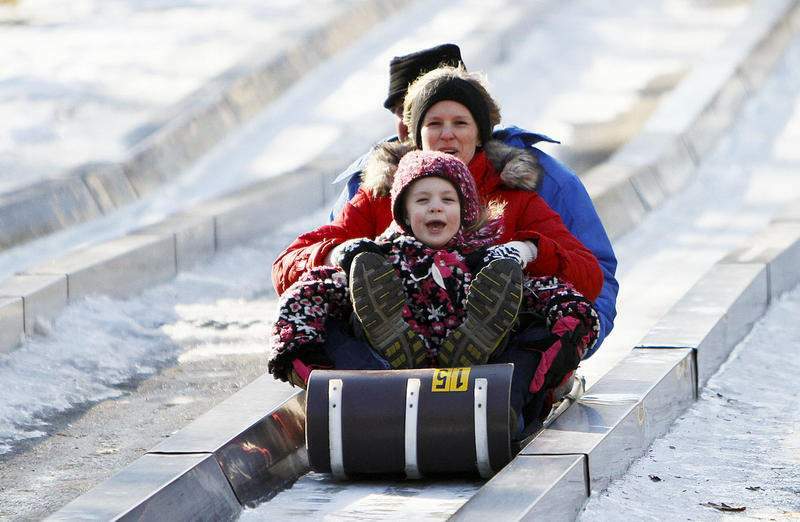 File The Toboggan Run at Pokagon State Park in Angola is open this weekend. Larry Reeb – Also, Jamie Fritz; Fort Wayne Comedy Club, 2104 S. Calhoun St.; 7:15 p.m. show, $15 advance, $20 day of show; 9:45 p.m. show, $20 advance, $25 day of show; www.fortwaynecomedyclub.com. Singles dance – 6 to 9:30 p.m.; American Legion Post 47, 601 Reed Road; $8; 704-3669. Auburn Cord Duesenberg Automobile Museum – Classic, antique and special-interest cars; 1600 S. Wayne St., Auburn; hours and cost, 260-925-1444 or www.automobilemuseum.org. Foellinger-Freimann Botanical Conservatory – “Hundred Acre Wood Exhibit” opens Saturday through April 21, featuring world of Winnie-the-Pooh character; 1100 S. Calhoun St.; $5 adults, $3 ages 3-17, free ages 2 and younger; hours, 427-6440 or www.fortwayneparks.org. The History Center – 302 E. Berry St.; 10 a.m. to 5 p.m. Monday through Friday, noon to 5 p.m. Saturday and first Sunday of the month; 426-2882 or fwhistorycenter.com. Science Central – “Heart Smart” touring exhibit, opens Saturday through May 26; 1950 N. Clinton St.; $9 ages 3-64, $8 ages 65 and older, free members 2 and younger; hours, 424-2400 or www.sciencecentral.org. National Military History Center – Batmobile items, “Dukes of Hazzard” car General Lee, two “Knight Rider” cars, World's Monster Truck Hall of Fame, a Dale Earnhardt car; 9 a.m. to 5 p.m. daily; 5634 County Road 11-A, Auburn; $10, free ages 6 and younger; 260-927-9144 or www.nationalmilitaryhistorycenter.org. Headwaters Park Ice Skating – Noon to 10 p.m. today, 11 a.m. to 10 p.m. Saturday, noon to 8 p.m. Sunday and 1 to 8 p.m. Monday through Thursday; Headwaters Park, 333 S. Clinton St.; $3 for ages 13 and younger and $5 for ages 14 and older; $2 skate rental; ends March 4. Toboggan Run – Pokagon State Park, Angola; $13 per hour; park entrance fees, $7 in-state vehicles, $9 out-of-state vehicles; hours tobogganrun.com; ends Feb. 24. 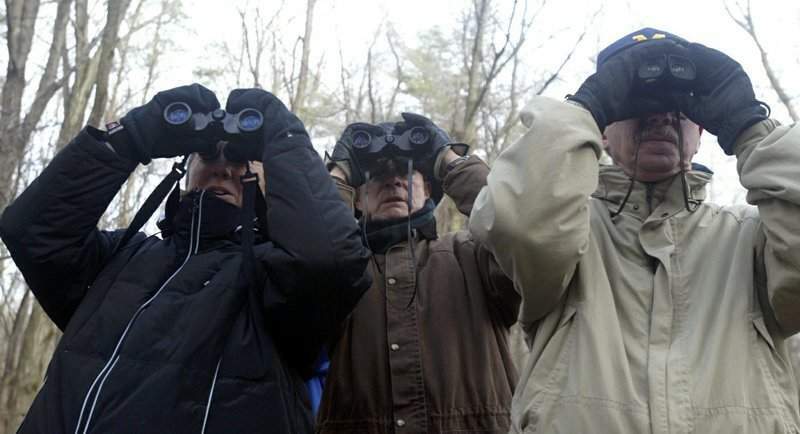 Birdwatching on Our Urban Rivers – 2 p.m.; Lawton Park Trailhead, Clinton and Fourth streets; hosted by Riverfront Fort Wayne; participants are urged to bring their own binoculars; free. “Film Noir at the Embassy” – Film screening of “The Maltese Falcon”; 3 p.m.; Embassy Theatre, 125 W. Jefferson Blvd. ; $10. 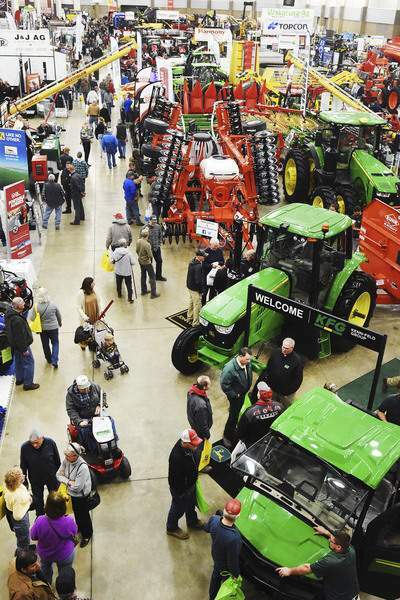 Fort Wayne Farm Show – 9 a.m. to 5 p.m. Tuesday, 9 a.m. to 8 p.m. Wednesday and 9 a.m. to 4 p.m. Thursday; Memorial Coliseum, 4000 Parnell Ave.; free admission. National Ballet Theatre of Odessa's Swan Lake – 7:30 p.m.; Embassy Theatre, 125 W. Jefferson Blvd. ; tickets, 800-745-3000 or www.ticketmaster.com. Mad Ants – vs. Erie BayHawks; 7 p.m.; Memorial Coliseum; $10 to $25 (prices increase on game day); www.ticketmaster.com or 800-745-3000. Komets – vs. Utah Grizzlies; 7:30 p.m.; Memorial Coliseum, 4000 Parnell Ave.; $13 to $29 adults, $12 to $25 seniors ages 60 and older and students, $9 to $20 ages 12 and younger; 800-745-3000 or Ticketmaster.com. Komets – vs. Kalamazoo Wings; 5 p.m.; Memorial Coliseum, 4000 Parnell Ave.; $13 to $29 adults, $12 to $25 seniors ages 60 and older and students, $9 to $20 ages 12 and younger; 800-745-3000 or Ticketmaster.com. Mad Ants – vs. Agua Caliente Clippers; 7 p.m.; Memorial Coliseum; $10 to $25 (prices increase on game day); www.ticketmaster.com or 800-745-3000. Komets – vs. Kalamazoo Wings; 7:30 p.m.; Memorial Coliseum, 4000 Parnell Ave.; $13 to $29 adults, $12 to $25 seniors ages 60 and older and students, $9 to $20 ages 12 and younger; 800-745-3000 or Ticketmaster.com. “The Christians” – First Presbyterian Theater; 7:30 p.m. today and Saturday and 2 p.m. Sunday; 300 W. Wayne St.; $20 general admission, $18 seniors 65 and older, free for first 30 full-time students with reservation, $10 otherwise; 426-7421, ext. 121, or firstpresbyteriantheater.com; ends Jan. 19.